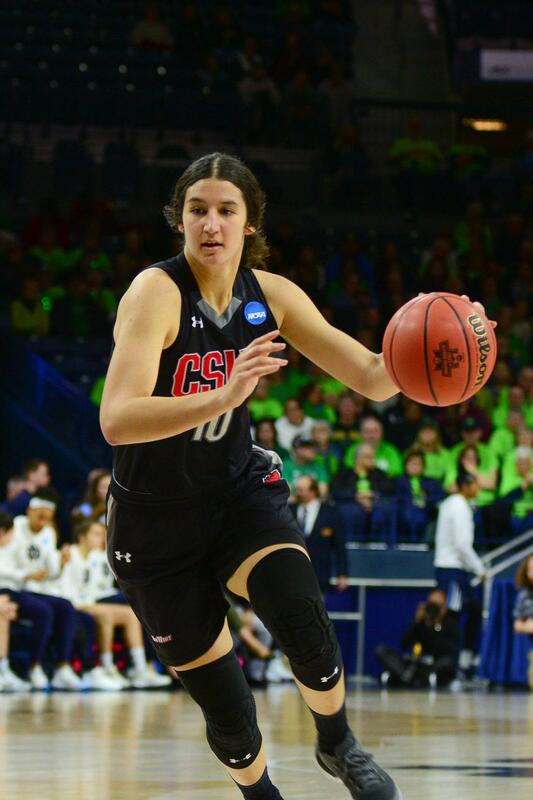 South Bend, Ind- Cal State Northridge women’s basketball refused to let the energy around the NCAA tournament affect them, at least early in the game on March 16. The Matadors jumped off to an early run, but then the Fighting Irish woke up. 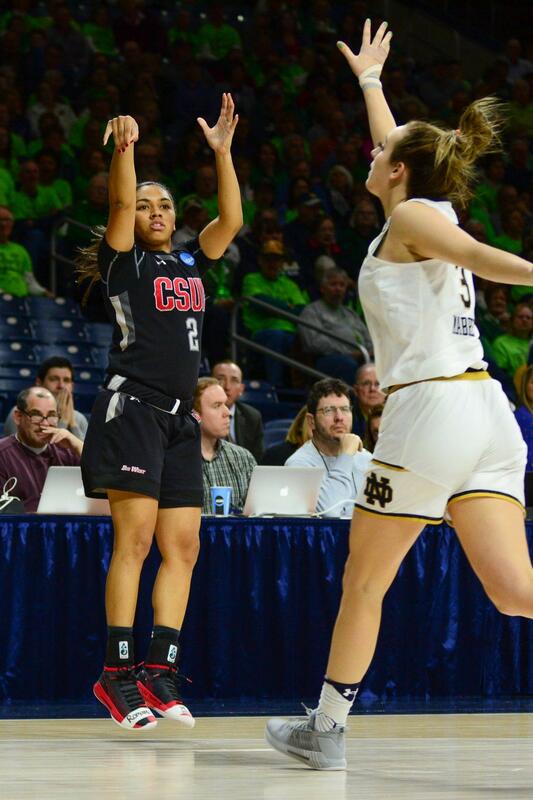 Notre Dame regained control and 16-seeded CSUN fell on the road in the first round of the NCAA tournament, 99-81. 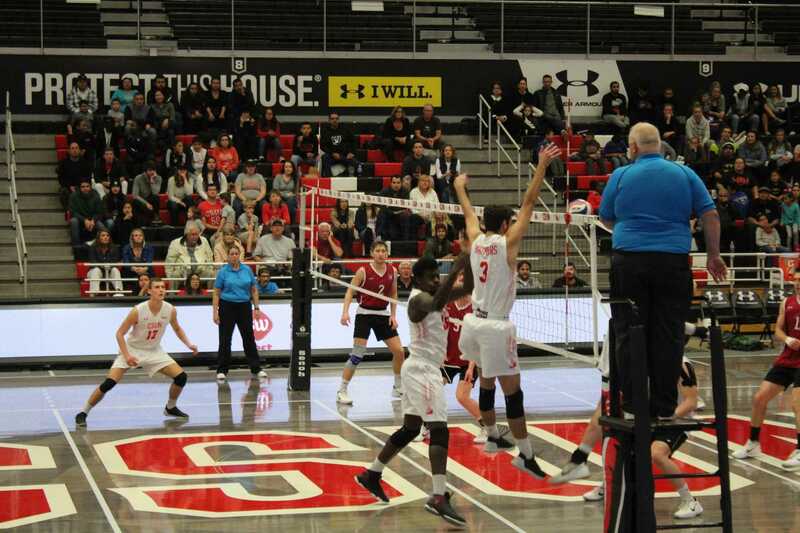 CSUN (19-16) made its fourth appearance in the NCAA tournament, but the program is still seeking its first postseason win. Big West MVP Channon Fluker, led her team with 25 points with 11 rebounds, senior Tessa Boagni had 23 points and 11 rebounds and freshman Destiny Brooks scored 24 points on eight 3-pointers. The last game for Boagni was a memorable one, her lone appearance in the NCAA tournament came back when she was a freshman. Boagni played 10 minutes and added three points against Stanford. This season, she became a major focal point of the team following the season-ending injury of starting point guard Serafina Maulupe. Boagni ended her CSUN career being named Big West Tournament MVP for her performances during the team’s run to the NCAA tournament. Notre Dame (30-3) was led by Arike Ogunbowale’s 30 points and the team shot 54.3 percent from the field. The team used an extended offense that featured both the Irish’s ability to drive to the basket while hitting from distance. Jessica Shepard had 24 points and 10 rebounds, Marina Mabrey scored 23 points and Jackie Young added 13. CSUN’s defensive rotation could not keep up with Notre after the team had held opponents to under 35 percent shooting from the field during its four games in the Big West Tournament. CSUN got a taste of its future from Brooks who never stopped playing hard even with the game out of reach. 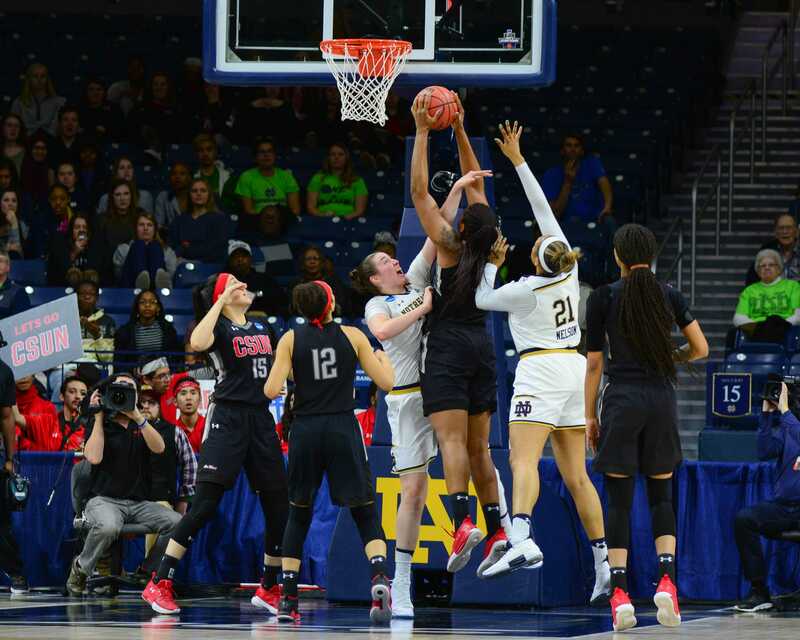 With her team down by 30 points, Brooks made three consecutive 3-pointers to lead an 11-0 run to cut the score to 95-76 with 3:54 remaining in the game and forced coach Muffet McGraw to call timeout. Brooks provided the Matadors with a taste of the future after hitting three 3-pointers to key an 11-0 run with 4:20 remaining in the fourth quarter. The native of Gilmer, Texas hadn’t been highly recruited until she became a viral sensation. The videos demonstrating her talent from 3-point range went viral and drew the attention of the basketball world. Brooks’s success helped pave her way to come to CSUN. 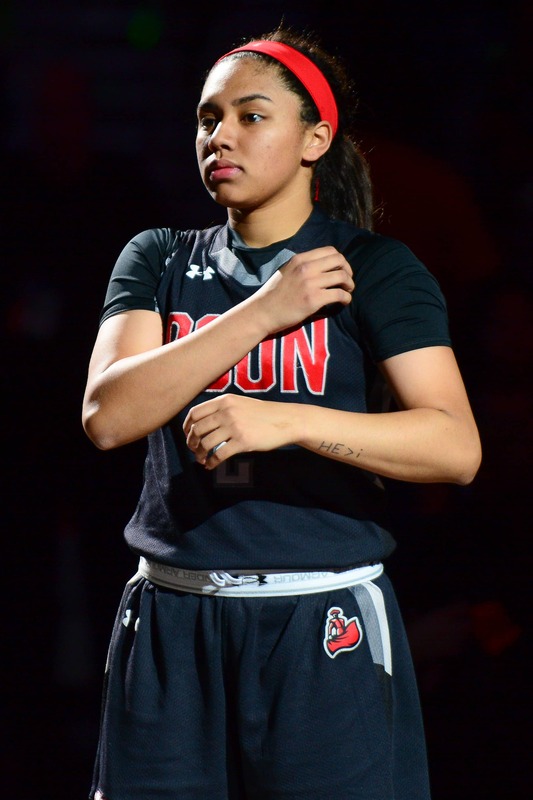 CSUN will go into the 2018-19 season with a strong outlook and will retain Fluker who will enter her senior season along with Brooks and seven other underclassmen.